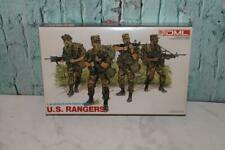 1/35 SCALE U.S. RANGERS by DML #3004 Sealed Plastic Soldiers. This is normal in our experience. Multiple art pages can easily be combined because they are light and thin. For instance, two statues require a much bigger box. A RUN will be a collection of consecutive issues with no breaks in between them. Anything past that is considered final sale. This is also at our discretion, and is a non-negotiable for us. We would be happy to attempt to resolve the issue. See photos. 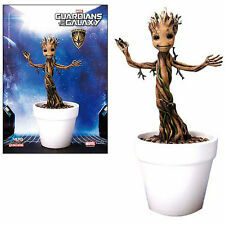 Nicely detailed and movie-accurate, including the color and texture, this pre-painted Guardians of the Galaxy Baby Groot Action Hero Vignette Model Kit "plugs and displays" easily into a dynamic pose on his diorama base. This is Dragon 38114 1:9 Iron Man 3-Iron Patriot,Action Hero Vignette. Features: Highly collectible display model, Developed in 3D, using official data from Marvel, Highly detailed and accurate, Dynamic poses with diorama base, Fully colored and textured to movie likeness, Minimal assembly, plug and display. Manufacturer: Dragon. Model Number: 38114. MSRP: 162.95. Category 1: Model Kits. Category 2: 1:12 (and smaller scales). Availability: Ships in 1 Business Day!. 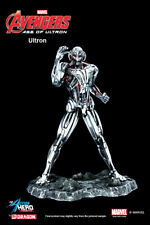 This is Dragon 38124 1:9 Iron Man 3 - Mark XXXVIII, Igor Armor, Action. Features: Highly collectible display model, Developed in 3D, using official data from Marvel, Highly detailed and accurate, Dynamic poses with diorama base, Fully colored and textured to movie likeness, Minimal assembly, plug and display. Manufacturer: Dragon. Model Number: 38124. MSRP: 239.95. Category 1: Model Kits. Category 2: 1:12 (and smaller scales). Availability: Ships in 1 Business Day!. This is Dragon 38138 7 ver. Guardians of the Galaxy Baby Groot. Features: Highly collectible display model, Developed in 3D, using official data from Marvel, Highly detailed and accurate, Dynamic poses with diorama base, Fully colored and textured to movie likeness, Minimal assembly, plug and display. Manufacturer: Dragon. Model Number: 38138. MSRP: 108.95. Category 1: Model Kits. Category 2: 1:12 (and smaller scales). Availability: Ships in 3 to 5 Business Days. This is Dragon 38120 1:9 Marvel - Thor, The Dark World,Action Hero Vign. 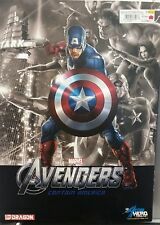 Features: Highly collectible display model, Developed in 3D, using official data from Marvel, Highly detailed and accurate, Dynamic poses with diorama base, Fully colored and textured to movie likeness, Minimal assembly, plug and display. Manufacturer: Dragon. Model Number: 38120. MSRP: 162.95. Category 1: Model Kits. Category 2: 1:12 (and smaller scales). Availability: Ships in 1 Business Day!. This is Dragon 38123 1:9 Iron Man 3 - Mark.XXXIII, Silver Centurion. Features: Highly collectible display model, Developed in 3D, using official data from Marvel, Highly detailed and accurate, Dynamic poses with diorama base, Fully colored and textured to movie likeness, Minimal assembly, plug and display. Manufacturer: Dragon. Model Number: 38123. MSRP: 169.95. Category 1: Model Kits. Category 2: 1:12 (and smaller scales). Availability: Ships in 1 Business Day!. This is Dragon 38136 1:9 Iron Man 3 Hall of Armor Mk.XXI Midas Multi-Poseable. Features: Highly collectible display model, Developed in 3D, using official data from Marvel, Highly detailed and accurate, Dynamic poses with diorama base, Fully colored and textured to movie likeness, Minimal assembly, plug and display. Manufacturer: Dragon. Model Number: 38136. MSRP: 283.95. Category 1: Model Kits. Category 2: 1:12 (and smaller scales). Availability: Ships in 1 Business Day!. This is Dragon 38118 1:9 Iron Man 3 - Mark XLII, Battle Damaged Version. Features: Highly collectible display model, Developed in 3D, using official data from Marvel, Highly detailed and accurate, Dynamic poses with diorama base, Fully colored and textured to movie likeness, Minimal assembly, plug and display. Manufacturer: Dragon. Model Number: 38118. MSRP: 239.95. Category 1: Model Kits. Category 2: 1:12 (and smaller scales). Availability: Ships in 1 Business Day!. This is Dragon 38143 7 ver. Guardians of the Galaxy Rocket Raccoon Limited Edition. Features: Highly collectible display model, Developed in 3D, using official data from Marvel, Highly detailed and accurate, Dynamic poses with diorama base, Fully colored and textured to movie likeness, Minimal assembly, plug and display. Manufacturer: Dragon. Model Number: 38143. MSRP: 162.99. Category 1: Model Kits. Category 2: 1:12 (and smaller scales). Availability: Ships in 1 Business Day!. Pre-painted and with just the snap of a few parts, you can have a highly detailed desktop display of your favorite Avenger! 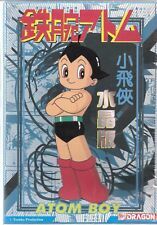 The use of model kit techniques allow us reproduce the intricate details and sharp lines to maximize the usage of the official 3D character scans. See item condition for more info. Rare subject. No scale given but box is about a foot long.